Students planning on attending the upcoming UH West Oʻahu Career & Internship Fair might consider fine-tuning their job- and internship-seeking skills during workshops scheduled later this month. The Prepare for the Fair workshops address the 3-D questions — Documents, Dressing, and Delivery. Come and learn how to best prepare for any career fair by learning résumé musts, cover letter techniques, dressing the part, and how to deliver your great first impression. There also will be a showcase of some of the items from the Campus Closet, an initiative that connects students with professional clothing. The first of the workshop days is Wednesday Sept. 26 at 11 a.m. and 12:30 p.m. in B-217. 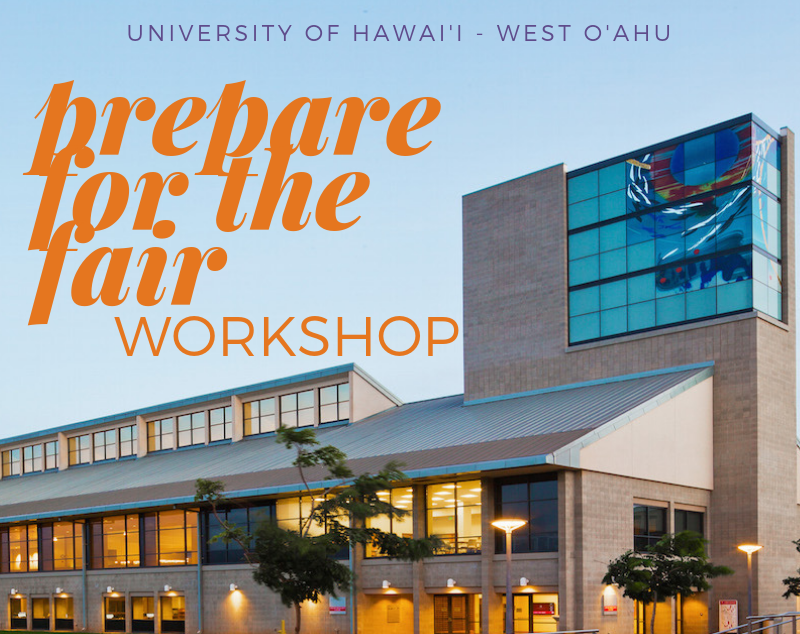 The workshops will be repeated on Thursday, Sept. 27 at 11 a.m. and 12:30 p.m. in Nāulu Center (C131). The Career & Internship Fair is scheduled for 10 a.m. to 2 p.m., Wednesday, Oct. 10, in C208. Interested students should register online and checking in at the event to receive an event name tag and extra drawing entry for door prizes valued at more than $400. Tagged Career & Internship Fair, Career services, Prepare for the Fair workshop, student affairs, University of Hawaii West Oahu, www. Bookmark the permalink.